The unveiling of the mandala of Bodhisattva Guanyin this Friday will be attended by Buddhist leader Gyalwang Drukpa. 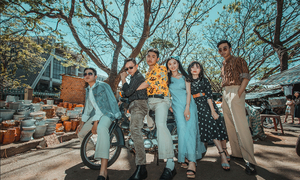 This Friday, the Tay Thien Grand Mandala Stupa in Vinh Phuc Province will host the opening of Vajrayana Buddhism's three-day great prayer festival. 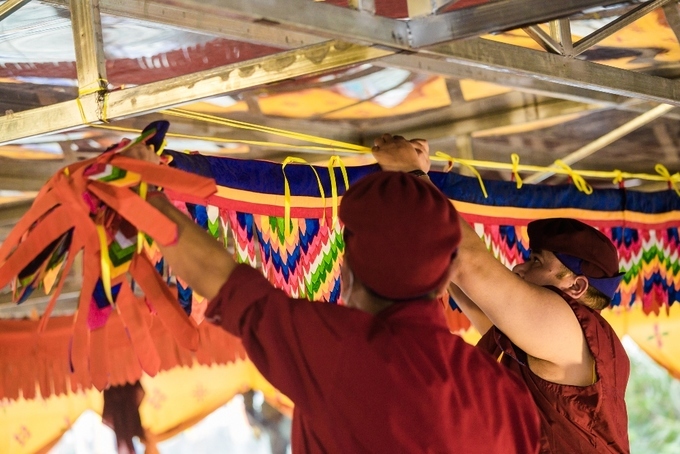 The festival, led by the Gyalwang Drukpa, head of the Drukpa Lineage of Vajrayana Buddhism, will also see the unveiling of Vietnam's largest jeweled mandala. 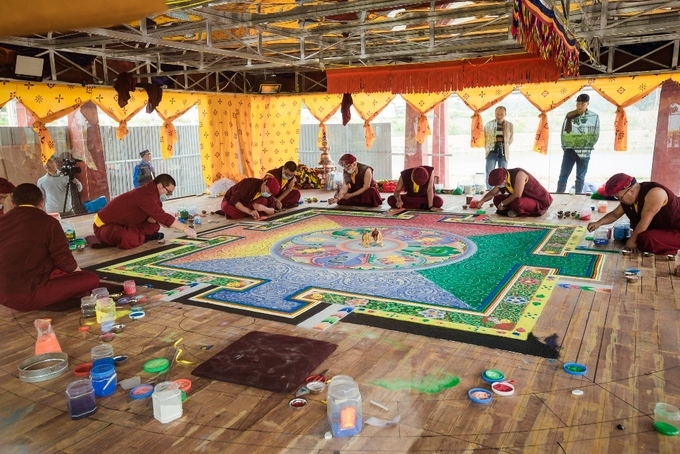 In the mandala stupa's pavilion, protected by toughened glass walls, twenty lamas (Tibetan Buddhist monks) from the Himalayas are working day and night to finish this mandala of Bodhisattva Guanyin. Guanyin is an East Asian bodhisattva associated with compassion, commonly known as the Goddess of Mercy in English. 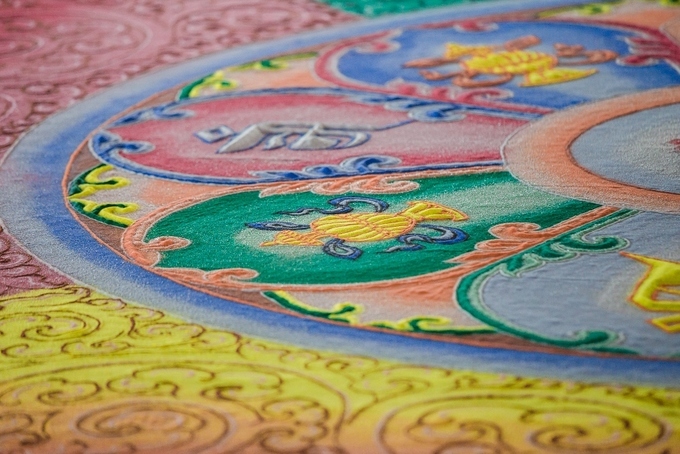 In Vajrayana Buddhism's beliefs, Bodhisattva Guanyin's mandala symbolizes the unification of compassion and wisdom. 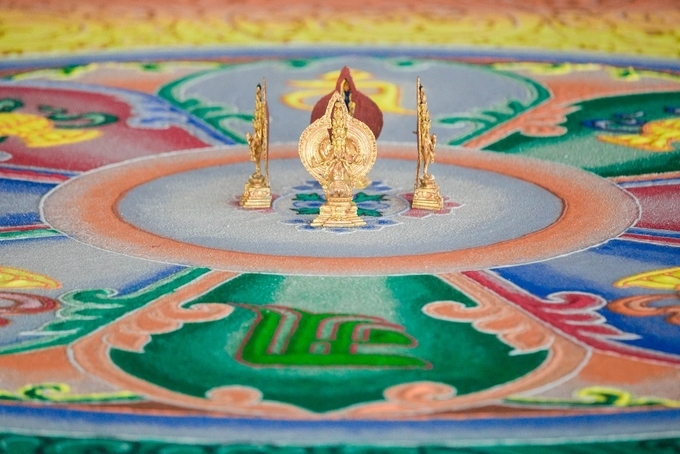 The jeweled mandala, which is a Buddhist representation of the universe, has a diameter of 9 meters (30 feet), and is housed in a 8.6-meter tall pavilion covering an area of 370 square meters. 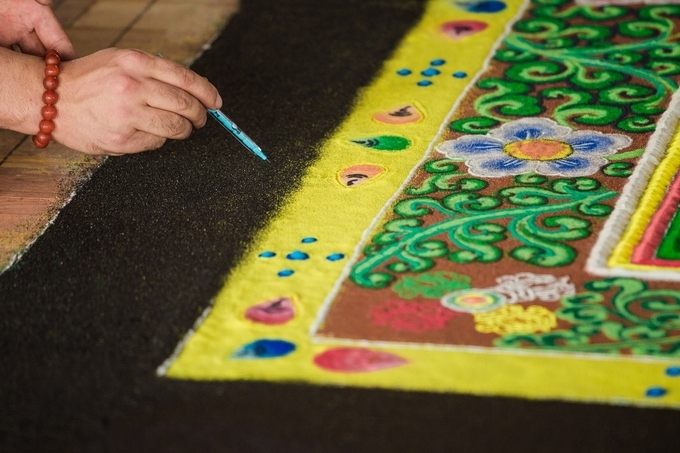 The massive mandala, which will officially be recognized as the largest in Vietnam by the Vietnam Record Association this Friday, was crafted entirely by hand. 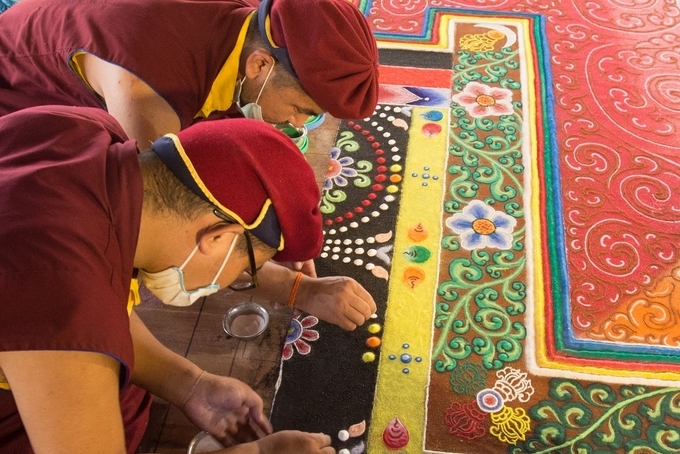 To color the mandala's background, the lamas have to slowly and carefully scatter precious gemstone powders by hand to evenly fill in the spaces. 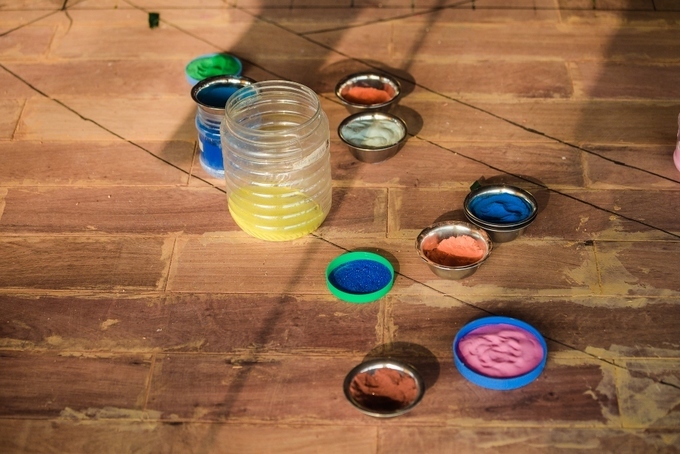 The great mandala of Bodhisattva Guanyin is crafted from 35 different types of natural gemstones such as jade, ruby, quartz, lapis lazuli and aventurine. 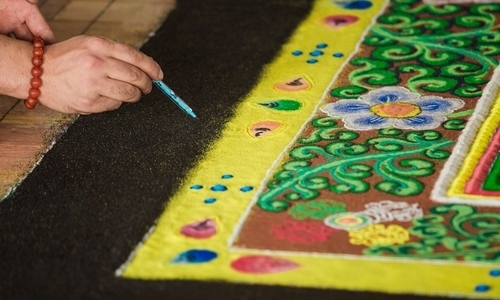 As only the lamas are allowed near the mandala, they also personally decorated the inside of the pavilion. 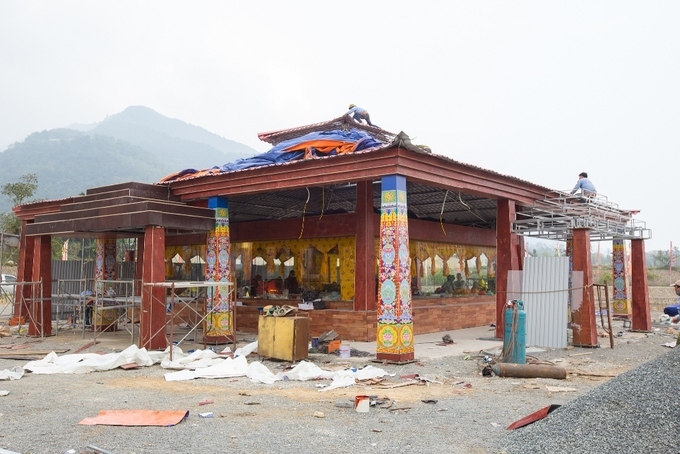 Three days before the festival's opening, workers were still working around the clock to finish constructing the pavilion and decorating the structure. 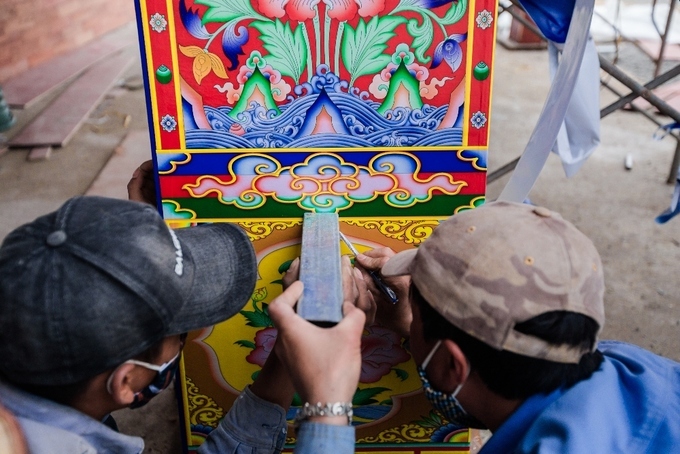 In addition to the jeweled mandala, the festival will also see the unveiling of a 12x16 meter painting of Bodhisattva Guanyin which the Gyalwang Drukpa presented the Tay Thien Grand Mandala Stupa last year.